Bankruptcy Information | Does Late Filing Disqualify Tax for Discharge? Does Late Filing Disqualify Tax for Discharge? Home > Bankruptcy Basics > Tax Issues In Bankruptcy > Does Late Filing Disqualify Tax for Discharge? 17 Jan Does Late Filing Disqualify Tax for Discharge? The law is clear that bankruptcy will only dischargeincome tax for which areturn, if required, has been filed. However, Congress for many years left it up to the courts to determine exactly what the word â€œreturnâ€ means. Courts have varied their definitions of â€œreturnâ€, with some courts using an objective approach and others applying a more subjective definition. The objective approach looks only at the taxreturn itself; the subjective approach also considers the intent of the taxpayer in determining what sort of document constitutes a return for bankruptcy purposes. (4) be signed under penalty of perjury. The objective approach to defining a â€œreturnâ€ is represented by In re Colsen, 446 F. 3d 836 (8th Cir. 2006). If the document looks like a tax return on its face, it passes the Colsen test. When submitted to the IRS it satisfies the filed return requirement. The subjective approach looks to see if the debtor made an â€œhonest and reasonable attempt to satisfy the requirements of the tax law.â€ The subjective approach is found in US v. Hindenlang, 164 F. 3d 1029 (6th Cir. 1999). In Hindenlang the courtdetermined that a document that otherwise meets the Beard criteria to qualify as a tax return, is not sufficient for bankruptcy dischargeability if filed after tax has been assessed by the IRS. In 2005, when Congress passed a substantial modification to the Bankruptcy Code, the code section that sets out a list of non-dischargeable debts, 11 U.S.C Â§523, was amended to include an unnumbered provision, often referred to as the “hanging” paragraph after Â§523(a)(19), which states in relevant part:”the term ‘return’ means a return that satisfies the requirements of applicable nonbankruptcy law (including applicable filing requirements. )” This 2005 changeled to McCoy v. Miss. State Tax Comm’n (In re McCoy), 666 F.3d 924 (5th Cir. Miss. 2012), in which the court decided that the failure to file a tax return in the time required by Mississippi tax law failed to satisfy the â€œapplicable nonbankruptcy lawâ€ referred to in the hanging paragraph and tax due was not dischargeable. The McCoy interpretation of this new language creates a conflict. 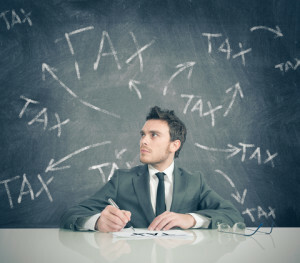 Â§523(a)(1)(B)(ii) has long prohibited the discharge of income tax due from an untimely taxreturn submitted within two years of the bankruptcy petition filing. If the court in McCoy is correct, this provision no longer has meaning. According to McCoy, and cases following the same reasoning, if the return is even one day late the tax due will not be discharged. If the tax is already non-dischargeable because the return is tardy, why does the same statute exempt tax from discharge on returns that have been filed for less than two years? This makes no sense. Courts carefully avoid any interpretation that makes statutory language meaningless. Absent legislative guidance the courts will continue to struggle with this problem.